Call me paranoid or call me a stalker. Whatever I am, I have a problem. 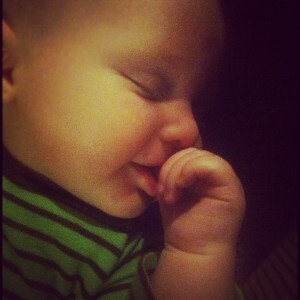 I stare at my baby while he sleeps. I don’t know if it’s some underlying fear that he’s not breathing or if it’s just my love for the sweetness of a calm sleeping child. It’s weird. It’s compulsive. I can’t help it! Next Story → Moms Have Meltdowns Too!